John W. Daniels Jr. is not only a national real estate and business expert with an enviable client list of national corporate household names, he is chairman emeritus of Quarles & Brady, a strategic business advisor to many of the firm’s largest clients, a recurrently honored champion of diversity and inclusion, a much sought-after thought leader on multiple topics, a widely recognized pillar of the community, an active agent of organizational and civic change, and a crusader for high-quality education and access to it. He grew the firm impressively during the worst economy since the Great Depression, expanding its ranks of attorneys and adding new locations and national practice specialties in spite of the downturn, fundamentally transforming Quarles from its traditional legal industry structure to a model of a 21st-century professional services business. Formerly the national president of the American College of Real Estate Lawyers, John has established a remarkable career in the practice of real estate law, representing national, regional, local, and governmental owners and investors, and playing a significant role in some of the most complex real estate redevelopment projects in the United States. 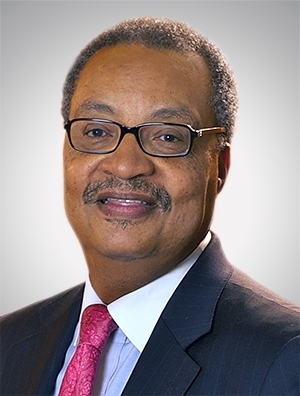 For his legal accomplishments, he has been called one of “the 50 most influential diverse attorneys in America” by the National Bar Association and one of “100 Managing Partners You Need to Know” by Lawdragon, among myriad other acknowledgements of his leadership and influence. He has been honored not only for his legal leadership but for his entrepreneurialism, his spirit of excellence in the pursuit of racial justice, and his devotion to education. John’s personal motto, which has become a core firm value, is, “Everybody counts, every day,” and that philosophy invigorates everything with which he is involved. He is driven by a powerful sense of fairness, and he believes there are few problems that cannot be solved through objective, reasoned persistence, pursued in good faith. He’s an imaginative problem solver, a uniquely critical thinker, a voice of wisdom and long experience, a connector of power players, and a fully tested leader. Depend on him to make big things happen. Awarded the 2014 Trustee of the Year Award by the Wisconsin Hospital Association, Inc.